Hi friends, in this article I am discussing about the tidal power plant working principle. Tides in the sea are produced due to the gravitational attraction of moon and sun upon the rotating earth. Rise and fall of tides occur twice a day. The highest level of tidal water is called high tide or flood tide whereas the lowest level of tidal water is called low tide or ebb tide. The level difference between high and low tides is called tidal range. The tidal range is time, season and location dependent. The maximum tidal range takes place at the time of new and full moon known as spring tides. Availability of 5 m tidal range or above in particular location can be used to operate a hydraulic turbine. sluiceways from the basin to sea and vice versa. The function of the dam is to create an obstacle between sea and the basin. The sluiceways are used to either fill the basin during high tide or empty the basin during the low tide. In single basin tidal power plant, the powerhouse is located at the mouth of the basin. The hydraulic turbine in powerhouse only operates during the discharge of water from the basin during low tide. The basin is filled again during the high tide. Intermittent operation is the main disadvantage of this system. 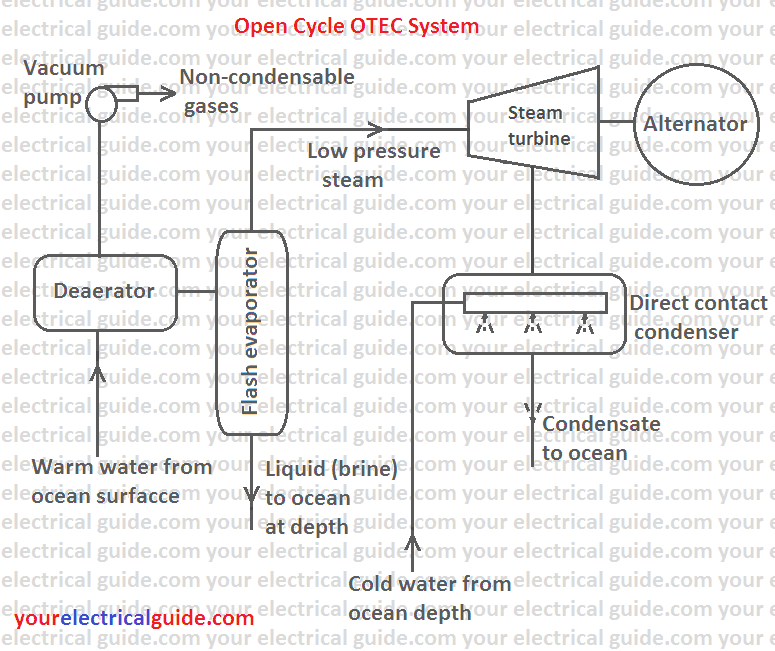 However, in a double cycle system, power generation is possible during the low as well as high tide. The direction of flow during the low and high tide alternates and generation of power takes place during the both the emptying and filling cycle of the basin. 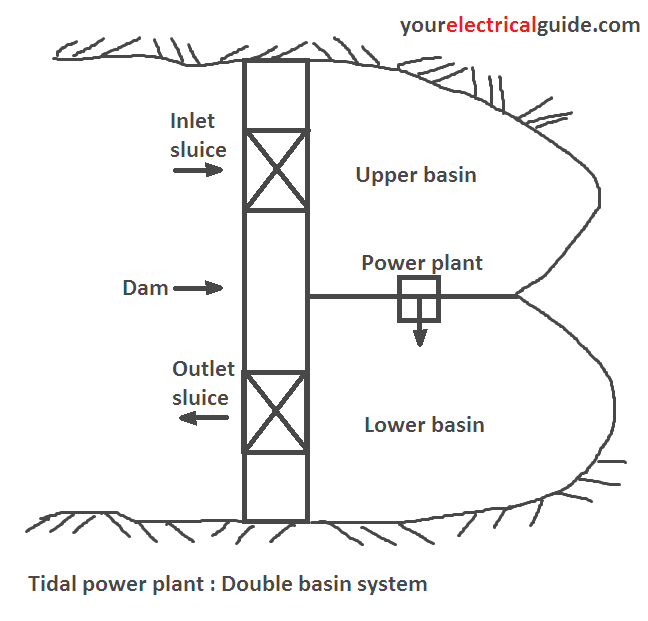 In double basin tidal power plant, two basins at different levels are made and a dam is provided in between them. Inlet and outlet sluice gates are made in the dam. The water level in upper basin is maintained above the level of water in the lower basin. The upper basin is filled with water during high tide and the lower basin is evacuated during the low tide. Therefore, a permanent head is produced between upper and lower basins. 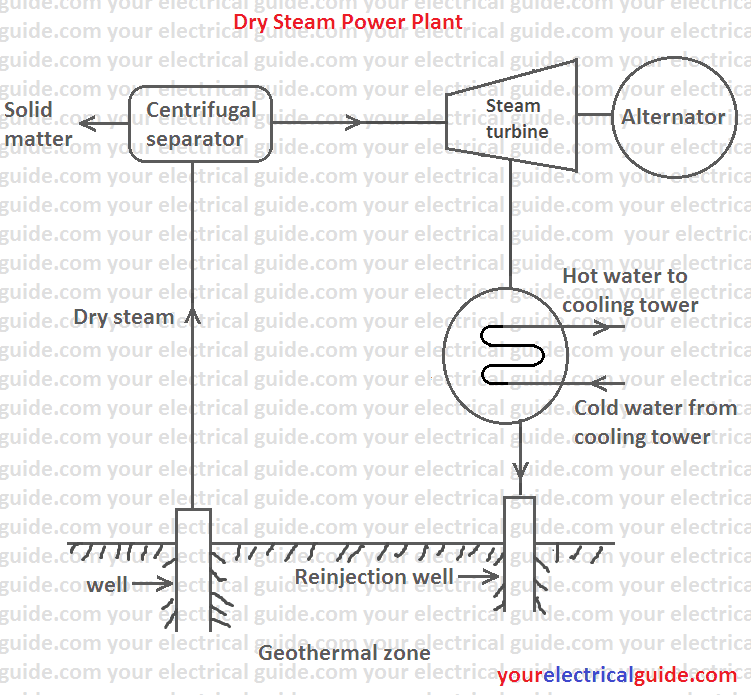 When a sufficient head is created, the turbines of the power plant are started. The water flows from upper basin to turbine which discharges into the lower basin and electrical power is generated. When the water level in upper basin is maximum during high tide, the inlet sluice is closed and the level of the water in lower basin keeps on rising due to the discharge of water by the turbine. When the level of water in lower basin equals during the low tide, the outlet sluice is opened and it is closed when the water level reaches to its minimum level. 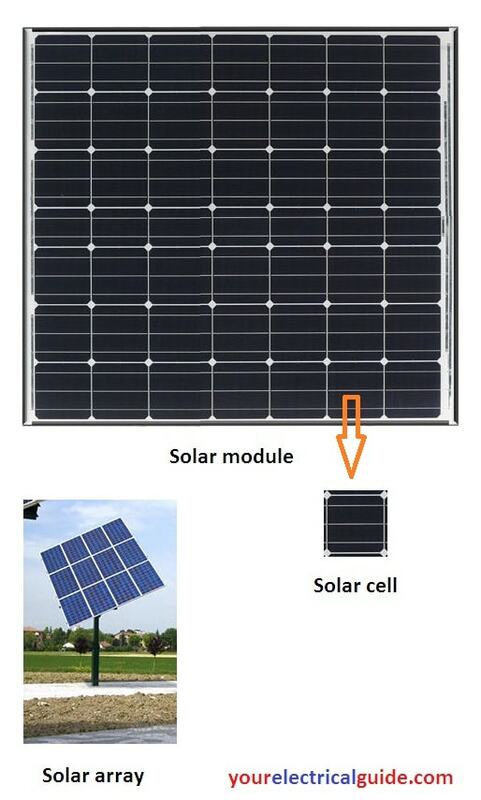 In this system, the power can be produced continuously during emptying and filling of basins. Power is ensured around the year. It is unaffected by the unpredictability of monsoon. The capital cost of the plant is high. Every location is not suitable for installing such a system. Sedimentation of basins is a problem. Sea water is very corrosive. Thanks for reading about tidal power plant working principle. © https://yourelectricalguide.com/ tidal power plant working principle.